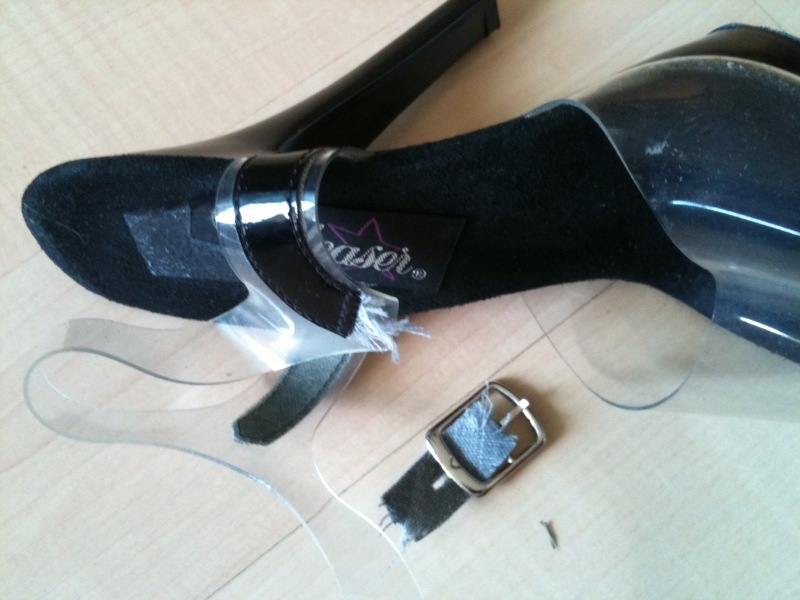 Ugh… My favourite heels just gave way during class last night. I had to wrap a hair elastic round the arch to prevent it from accidentally flying off mid-invert. This entry was posted in I'm just saying.. and tagged broken shoes, New shoes, stripper heels. Bookmark the permalink.